Hi girls! Music festival season is now in full swing, which means that we will be seeing a TON of flower crowns this spring and summer (which I love). 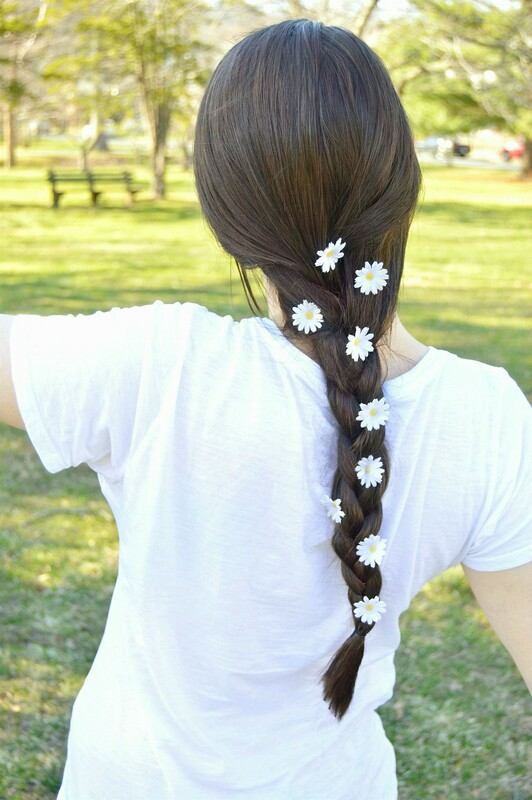 I think accessorizing your hair is an amazing idea. But, as I was searching for some festival inspiration I saw a million of them and I decided that I needed to make something for you guys that would make you stand out! You need something that’s not so easy to find in a store, but also something that you can make for a few dollars. 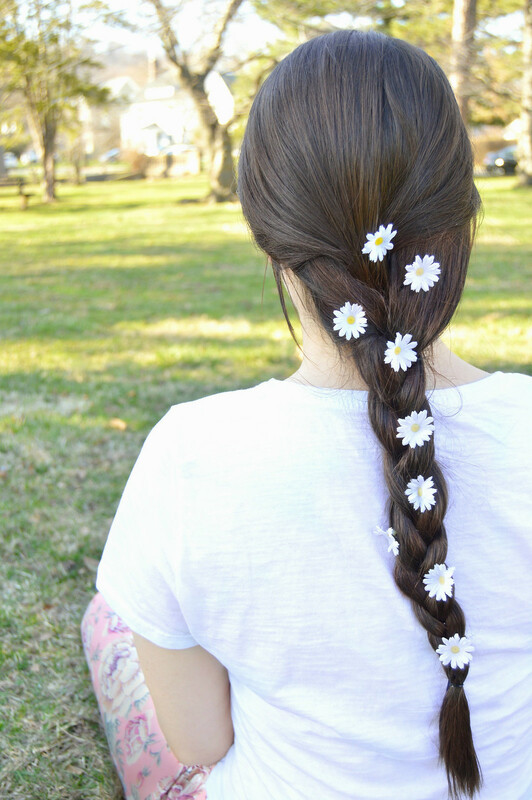 Cue these super easy to make flower pins. 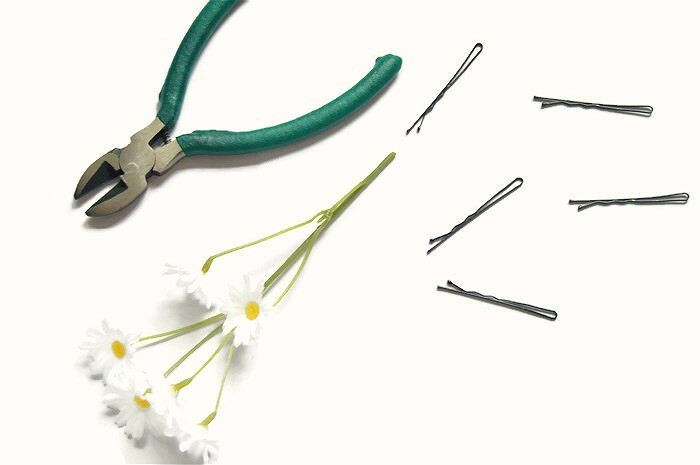 First, with the wire cutters, cut the daisies off of their stem (make sure you leave a small piece of stem attached to the flower). Push the small bit of stem through the loop of your Bobby pin. 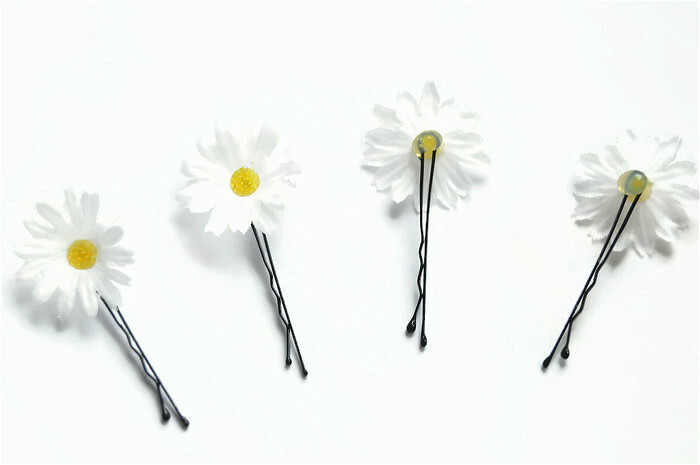 I found that my daisies stayed in the Bobby pins very securely even without any glue, but if you want to be sure (or if you flower stem is very thin), place a small dot of hot glue over the piece of stem and Bobby pin to glue them together.